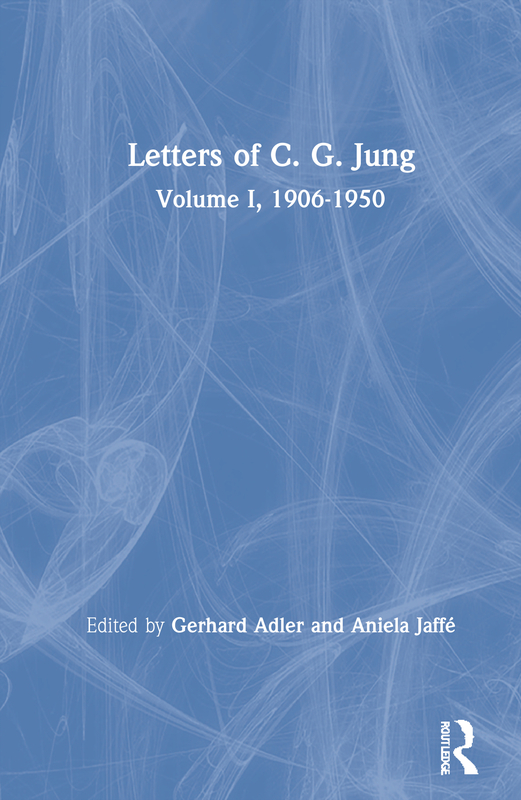 In May 1956, in his eighty-second year, Jung first discussed with Gerhard Adler the question of the publication of his letters. Over many years, Jung had often used the medium of letters to communicate his ideas to others and to clarify the interpretation of his work, quite apart from answering people who approached him with genuine problems of their own and simply corresponding with friends and colleagues. Many of his letters thus contain new creative ideas and provide a running commentary on his work. From some 1,600 letters written by Jung between the years 1906-1961, the editors have selected over 1,000. Volume 1, published in 1973, contains those letters written between 1906 and 1950. Contents. List of Illustrations. Introduction. Chronology. Letters: 1906-1950. Addenda. The Collected Works of C. G> Jung. Index of Persons. Gerhard Adler underwent a training analysis with C.G. Jung in the 1930s and is now President of the International Association for Analytical Psychology. He is one of the editors of 'The Collected Works of C.G. Jung' and his published works include Studies in Analytical Psychology and The Living Symbol. Aniela Jaffé collaborated with Jung in his Memories, Dreams and Reflections.